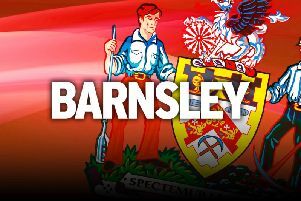 Boss Jose Morais lamented Barnsley’s slow start after defeat at Middlesbrough. The Reds were optimistic after four points in two games pushed them out of the relegation zone. However, the sheer reality is back-to-back defeats against promotion-chasing opposition has left them with just two wins in their last 21 games. They were thoroughly outclassed at Middlesbrough as goals from Daniel Ayala, Adama Traore put the hosts 2-0 up inside 18 minutes. Patrick Bamford grabbed a third after the break, before Kieffer Moore pulled one back. Morais, whose side sit tottering two points clear of relegation, admitted: “The next step is to start games with a different posture than we have been. “We need to have a different level of concentration than we’ve been having at the start of games. “We knew coming here was going to be a difficult game. “We came up against an opponent with quality, with quality players and a strong organisation. Barnsley failed to register a single shot on target in a disappointing first half. And the Reds got off to the worst possible start at the Riverside. Ayala opened the scoring inside the opening minute to set the tempo for the game. The centre-back made no mistake as he diverted Ryan Shotton’s cross past Nick Townsend. And the lead was doubled after 18 minutes with a great solo goal that ended in a thunderbolt left-footed finish across Townsend. Liam Lindsay had the visitors’ first real chance as he headed Ryan Hedges’ free-kick wide. Bamford continued his fine scoring streak with his eighth goal in five games to put the clash to bed with his header after the break. Moore pulled one back with just over half an hour left after mopping up the rebound from Gary Gardner’s crisp strike. The Reds continued to press but they could not break down the Boro backline. Sub Stevie Mallan had an effort saved, before Moore headed against the woodwork. Late on Townsend made a top save to deny Traore a second. Morais saw an unrecognisable Reds’ outfit during a poor first half. They were already 2-0 down at the interval before coming out fighting after the break. He said: “We had two faces. We saw a team I don’t recognise in the first half. “We saw a totally different second half. “We expected to be better of what we were capable of at the start of the game but that didn’t happen. “We didn’t manage to keep our organisation in midfield in the first half and that cost us. The Reds have to put their first-half showing down to a blip. They just were not at the races and it was probably the worst they have played since Morais took over – albeit against a strong Tony Pulis side who have raced into the top six with a five-game unbeaten run. However, they have played some spirited football since Morais took over and they can certainly take heart from that. What they do not want to do is put in the performances and not get the results, something which happened far too often under Paul Heckingbottom. At this stage of the season it is points on the board that are important and it would be better to get an ugly 1-0 than lose playing well. After an unprecedented four successive games on the road Morais will be delighted to get back to Oakwell. His only taste of home football in South Yorkshire came in his first game at the helm against Burton – a disappointing defeat. The Portuguese gaffer has got the Reds playing in a different way since then and three home games on the trot will do nicely. They come against Norwich, Millwall and Bristol City and the Reds would love to get some points on the board to push away from the bottom three.